Happy FriYAY!!!! It’s finally December!!!!! 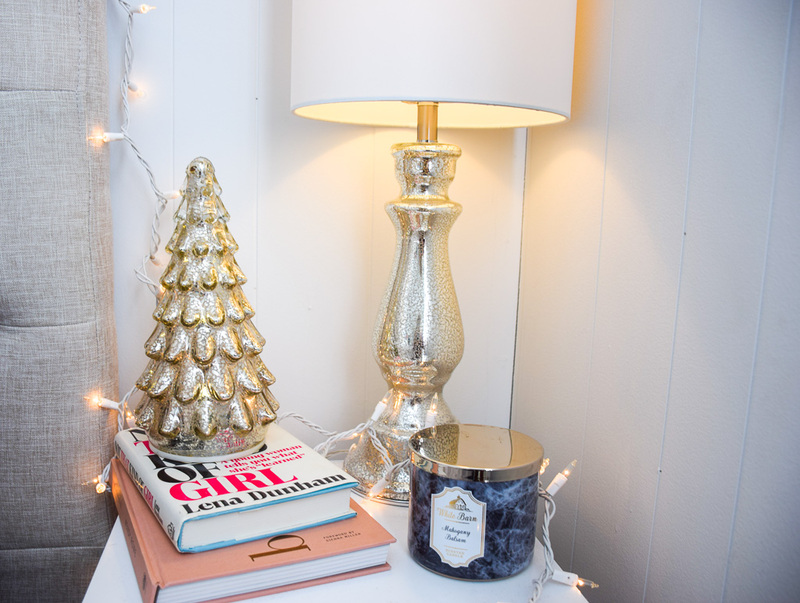 I am so excited to share my easy ways to spruce up your room for the holidays. 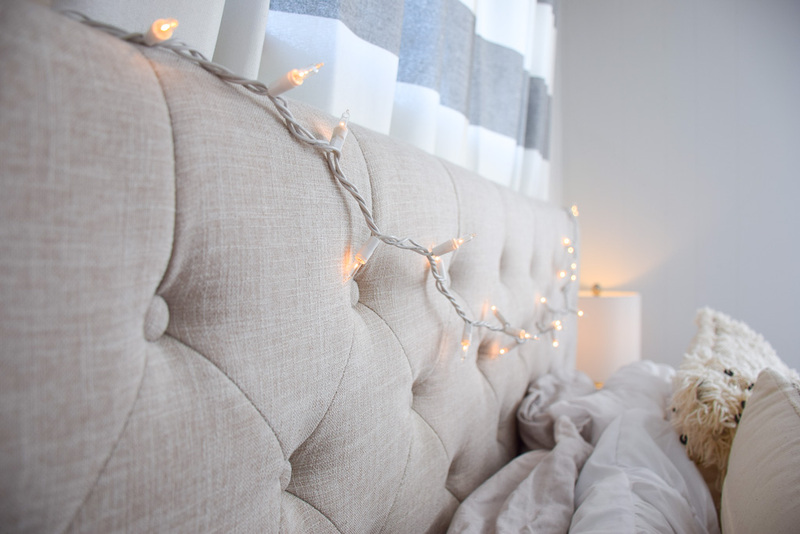 These are all very simple ideas that will make your room so cozy you’ll never want to leave! Enjoy!! 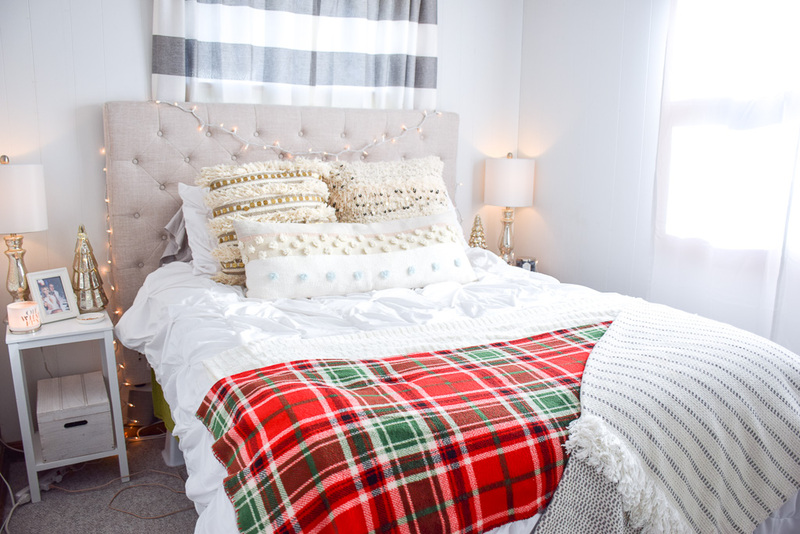 Add a holiday throw blanket to the end of your bed! Nothing is better than layering up as many throw blankets as you can! All of mine are from T. J. Maxx!! Christmas lights are a must! Adding lights can make anything festive! I added these white Christmas lights from Target to my headboard. I love how cozy they make my room!! 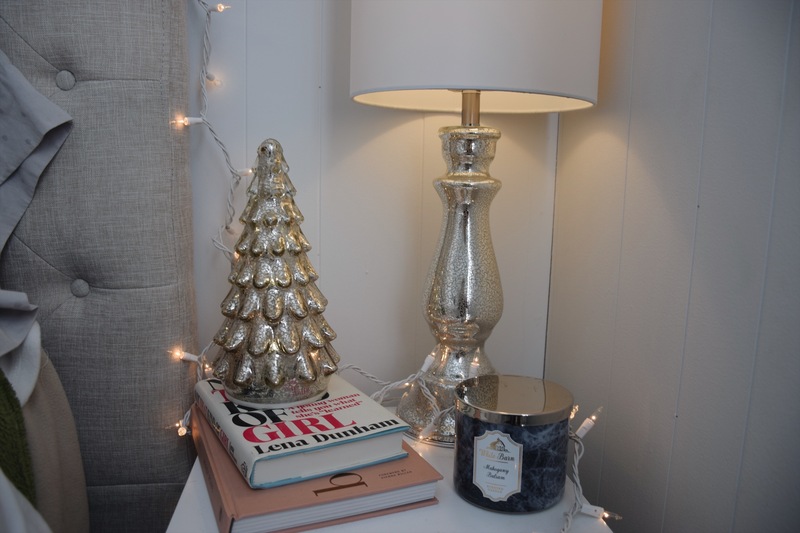 For my nightstands, I added these beautiful mercy glass Christmas tress that I purchased from Michaels Craft Store. I also added a festive Bath and Body Works candle. Smells so yummy!! I hope you can use some of my tips to decorate you room or house! Don’t forget to subscribe before you leave because I have some very exciting content coming up!! Thanks for LIVing a little with me today !! !